Alex Bell opens private law practice specializing in civil, criminal, commercial litigation, workers’ compensation and domestic relations. NORFOLK, VA – Alex Bell is pleased to announce the opening of his general litigation practice, The Law Office of Alexander H. Bell, located at 101 West Main Street, Norfolk, Virginia 23510. Opening his own private practice in February 2016, Bell’s general litigation firm represents clients in Civil Litigation, Business/Commercial Litigation, Construction Litigation, Criminal Defense, Traffic Defense, Workers Compensation (Employee Representative) Domestic Relations, Real Estate Litigation, and Environmental Litigation. Practicing law in Hampton Roads since 2013, Alexander H. Bell has successfully represented clients in cases in Virginia state and federal courts achieving a number of high value settlements and favorable verdicts for his clients. “I have a passion for complex litigation and fight for my clients interests. I will take a case as far as it needs to obtain the best possible results,” says Bell. Bell approaches each client on an individual basis, focusing his legal expertise on his clients’ unique issues and fighting for the results his clients seek. In addition to client representation, he values public service and has offered his counsel and services to organizations in and around Hampton Roads with a particular passion for the fishing industry. “Every client matters and every case matters, whether your dispute involves complex business litigation or a simple traffic infraction,” says Bell. A native of Hampton Roads, Bell received his juris doctorate from Atlanta’s John Marshall Law School and his economics and commerce degree from Hampden-Sydney College. Offering full service legal representation, The Law Office of Alexander H. Bell prides itself on personal service of a small practice, giving you an experienced attorney representing your interests at every point. 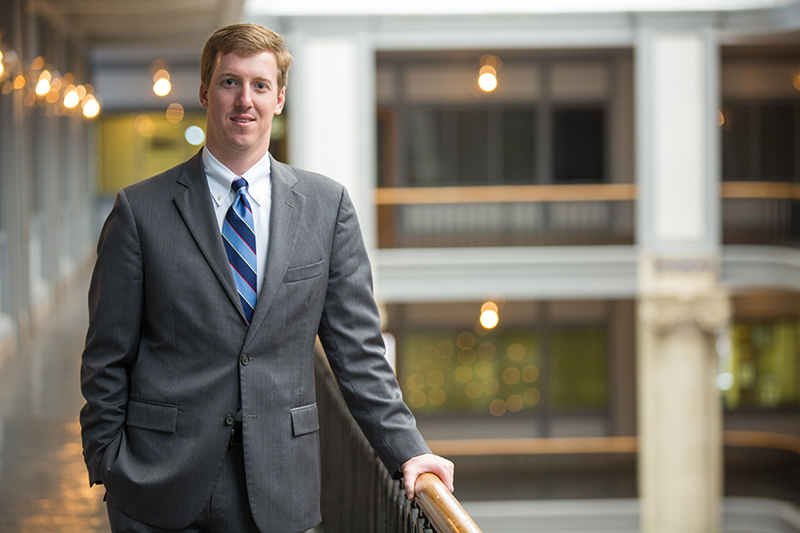 Practicing law in HamptonRoads since 2013, Alex Bell has successfully represented clients in cases ranging from traffic infractions to commercial litigation in Virginia state and federal courts. With a passion for litigation,The Law Office of Alexander H. Bell is committed to bringing a high quality, personal approach to legal representation. Fighting for his clients interests, Bell takes your case as far as it needs to obtain the best results. To learn more visit alexbelllaw.com.